When the enthusiastic response came, Mike Gordon mentally filed it as a pivotal movement. 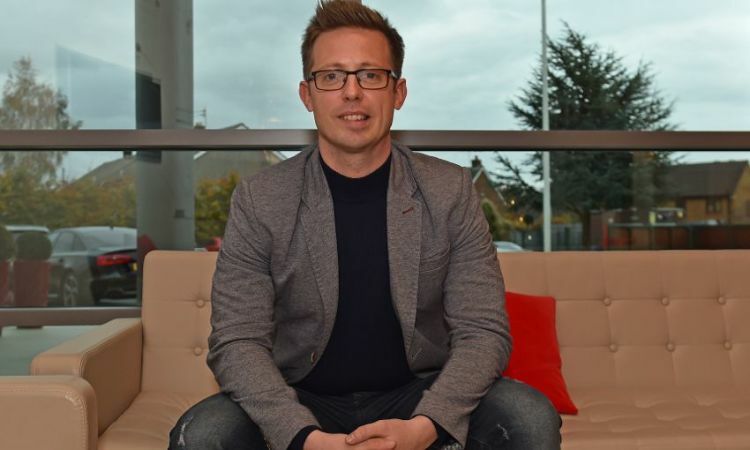 Sitting across from Jurgen Klopp, the Fenway Sports Group president felt a fusion of relief and elation as the manager co-signed and applauded the decision to appoint Michael Edwards as Liverpool’s sporting director. There was no need for Gordon to sell the idea or to delve into the finer details as the German believed it to be a deserved and progressive move. Klopp had already dovetailed excellently with Edwards during a 10-month transitional period after Ian Ayre, then the chief executive officer, publicly announced in March 2016 that he would be departing the club upon the expiry of his contract the following year. Gordon was initially concerned the CEO’s desire to leave could have an unsettling effect during a period of increasing positivity. Liverpool were finally led by the man the owners had coveted since 2011, there was greater stability across all departments and the Anfield side had just suffered defeat on penalties to Manchester City in the League Cup final, but had triumphed against Manchester United to progress to the Europa League quarters. Gordon did not want a deviation in the rising trajectory, but he need not have worried. Edwards seamlessly assumed football development responsibilities during the changeover and had long enjoyed Klopp’s respect as well as confidence given he’d been making big decisions on the recruitment end quite often since the 51-year-old was hired. The connection between the pair was augmented following Ayre’s communique and his subsequent exit. They are markedly different characters - Klopp is gregarious while Edwards finds comfort in keeping a low profile - but are meshed by their avidity to propel Liverpool to the frontline of the game domestically and on the continent. There was no great ‘click’ moment for the duo with the success of their relationship being the mundane, authentic element of it. 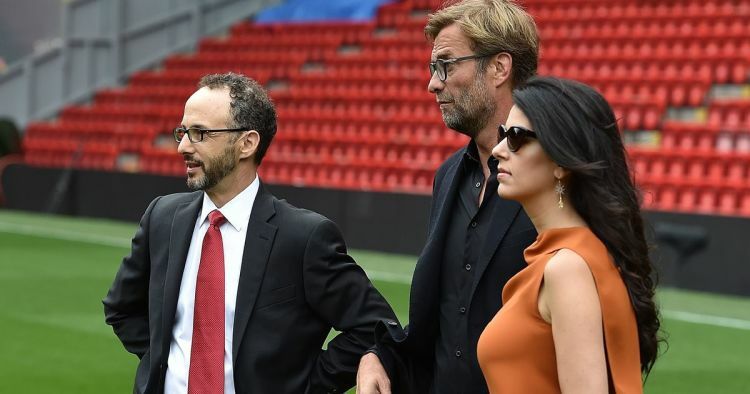 Klopp and Edwards are both quite casual, not just in terms of their general attire - neither can be fussed with the suit-and-tie trouble - but with their approach to staff at Melwood too. They are accessible, employ an open-door policy and encourage regular communication. You do not need to pencil in time to see either with Edwards rarely ever making use of an assistant while Danielle, who handles Klopp’s diary, ensures he has a largely flexible schedule. The Reds boss was enthused by the 38-year-old becoming sporting director, as he’d witness him complement his talent for identifying stylistically perfect players with shrewd negotiation and the courage to make and stick by bold choices. He sought out Edwards to relay as much while Gordon shared his conviction that the connection between them would be the foundation for Liverpool’s advancement. The club’s official statement on the promotion was released on 4 November 2016. "Michael is absolutely the right person for this. He has the knowledge, expertise and personality to flourish in the role." The news was greeted with an overflow of external scepticism, but at Melwood, in Boston, and at the club’s Chapel Street offices, the move was viewed as the decisive play to press ahead in an ambitious way that hadn’t been possible for far too long. 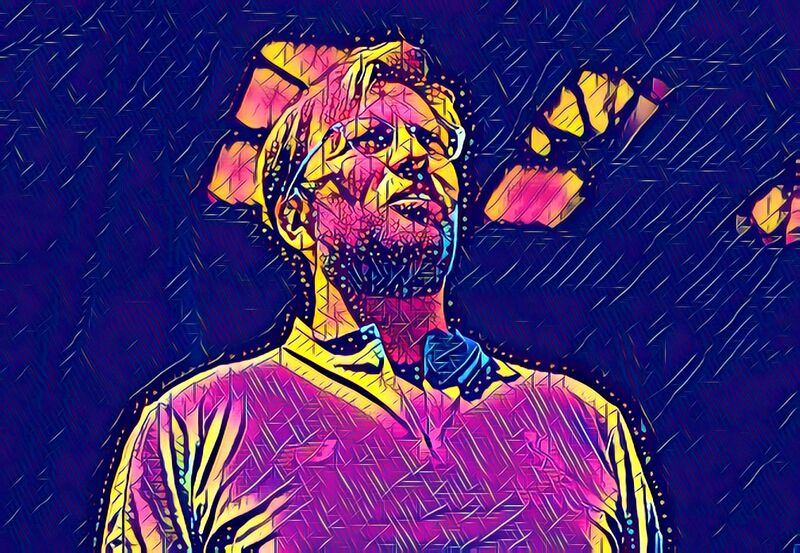 With Liverpool securing a £65 million deal for Alisson last Friday - a world record fee for a goalkeeper - after already smashing the transfer benchmark for a defender with their £75m recruitment of Virgil van Dijk in January, there has been an appetite to discuss what has changed to upgrade their actions in the market. There are many variables, which are all rooted to the strong relationship between the core triad: Klopp, Edwards and Gordon. The minds and ambitions of the key figures are aligned, which problematically hasn’t always been the case for the Merseysiders. Klopp and Edwards discuss prospective players causally over breakfast or lunch in the canteen at Melwood before working through a more detailed analysis. The bulk of the assessment is provided by the team under Dave Fallows, the head of recruitment, and chief scout Barry Hunter as well as the research group headed by the revered Ian Graham. They present their shortlist to Gordon, who not only underwrites their wishes, but provides whatever support may be necessary to concluding business. This was illustrated when he stepped in to rehabilitate Liverpool’s relations with Southampton, which was critical to completing the Van Dijk deal at the turn of the year. There is trust, esteem and appreciation among the trio of the distinction of each: the right players are pinpointed by Edwards, they are sold on Liverpool by Klopp and are brought in on Gordon’s backing. The club are crystalline and confident of spending big in the market because they are clear and collaborative behind closed doors. 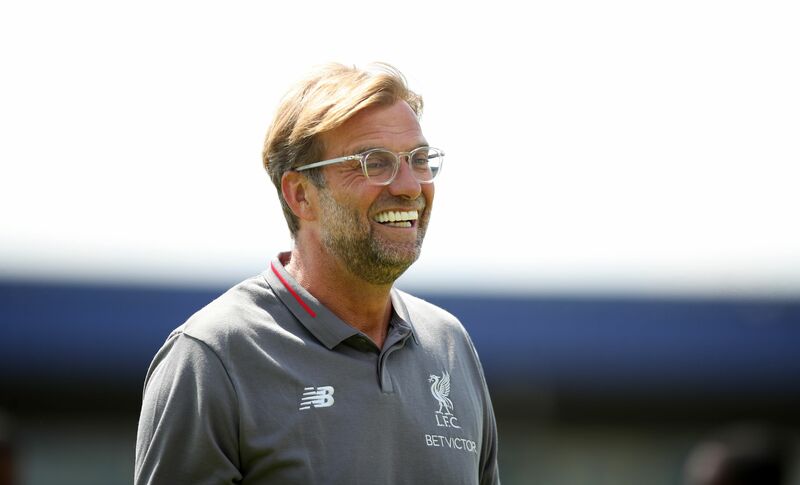 Since Klopp succeeded Brendan Rodgers in the dugout in October 2015, Liverpool have spent £10 million or more on 10 players: Sadio Mane, Gini Wijnaldum, Mohamed Salah, Andy Robertson, Alex Oxlade-Chamberlain, Van Dijk, Naby Keita, Fabinho, Xherdan Shaqiri and Alisson. Six of the above surpassed a fee of £35m, Liverpool’s previous highest outlay on a player, which was paid to Newcastle for Andy Carroll in January 2011. 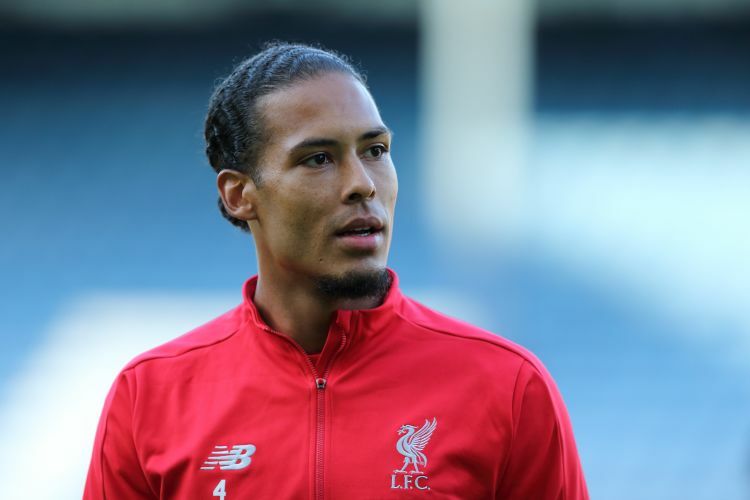 The six recruited prior to this summer that have featured competitively for the club have contributed 92 goals, while the two defenders among them - Van Dijk and Robertson - have fortified the rearguard. 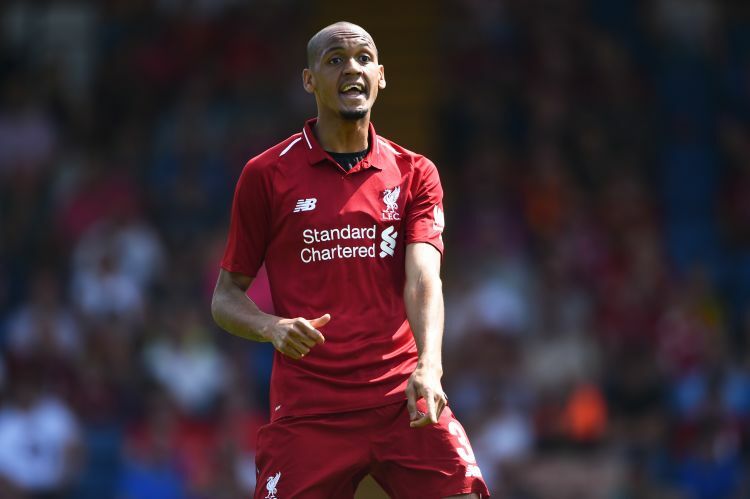 The others all correct a weakness in the squad: Keita provides dynamism and duality in the centre of the park, Fabinho ticks the long unchecked ‘in need of a defensive midfielder’ box, Shaqiri deepens the quality of attacking options and Alisson enhances a goalkeeping department that has failed to convince since Pepe Reina’s exit in 2013. Loris Karius, part of a sextuple wrapped up for £5.1m or under, will cede No.1 responsibilities to the Brazil international following his struggle to shake off a nightmarish display in the Champions League final, in which he suffered concussion. The gloveman, acquired from Mainz in the summer of 2016, has been the only permanent signing during Klopp’s tenure that can be argued as a failure. And still, there are caveats: Karius was rushed back after breaking a bone in his right hand during his first pre-season at the club and the rotation in the position couldn&apos;t have been helpful. Some who worked with him at Mainz describe him as “completely unrecognisable”. Things have gone horribly for the 25-year-old in England, but he is not a bad goalkeeper, which is why Manchester City lured him to their academy and he went on to make just under a century of appearances in the Bundesliga. Hopefully he will rediscover his self-belief and the fundamentals of his goalkeeping whether that be at Liverpool or elsewhere. Accepting a cross against the German’s name and acknowledging that Joel Matip - recruited on a free - has never quite been the centre-back that was expected given injury issues, such a staggering success rate with transfers is an anomaly, so how have Liverpool been able to get so much right so quickly? They have not bought for cosmetic purposes and plump for the required skill set rather than a name. They do not panic purchase. And they are flexible within the framework of their playing style, moving on from targets who no longer represent a need. This was exhibited when they ended interest in Mahmoud Dahoud in the early months of 2016-17 having ascertained that the midfield required a more explosive figure with Keita being the chosen one. Liverpool have shapeshifted smartly and on their terms, but it has taken a while and everything to align for them to morph from a punchline to sagacious transfer operators. A year before Chelsea lured “killer striker” Diego Costa from Atletico Madrid, the Reds had activated his £21m release clause, but could not convince the forward his future would be best served at Anfield. Like him, Salah (2013) and Willian (2014) also opted for Stamford Bridge instead despite Liverpool putting in the hard yards to sign them. Alexis Sanchez, pursued to replace Luis Suarez four years ago, decided Arsenal was a preferable destination to Merseyside on account of stability and location. The identification of supreme players and the scouting set-up was not a core problem - the list of who Liverpool wanted versus whom they settled on was often jarring - with the issues being a mediocre sales pitch, the lack of on-field continuity and the absence of a unified vision. Rodgers, for example, was an excellent tactician and innovative on the training ground, but did not have any sort of pull with elite targets nor an openness to suggestions from the recruitment team beyond his wishlist. Steven Gerrard, closing in on his curtain call as a player, was used as the magnet to try and attract top-tier options - revealing he messaged Toni Kroos, Willian and Alexis hoping to persuade them to join Liverpool - but he was also the one who met with Loic Remy prior to a £8.5m move collapsing due to problematic medical findings. The Reds, not able to secure premium players and having to drastically drop down their hierarchy of targets, were also hampered by having to satisfy the requests from Rodgers as well as the recommendations of the transfer committee. This policy was underlined in July 2015, when Roberto Firmino and Christian Benteke were bought for a combined £61.5m, despite being conditioned for opposing playing styles and the fact it was believed the former would thrive as a No. 9 at the club. Liverpool sanctioned the purchase of the Belgium international to support their former manager even though it was widely felt within Melwood that the transfer contradicted the club’s on-pitch identity. The owners, having decided to stick with Rodgers after digressing in 2014-15, ribboned by the demeaning 6-1 defeat at Stoke, could not undermine him when it came to a major signing even though the squad was not built to feed such a targetman. Benteke’s strengths were in constant conflict to Liverpool’s spotlighting just how unfeasible it was to have divergent strategies in effect at the same time. It propagated a feeling of frustration and created an undercurrent of distrust between the coaching staff and the recruitment department. So, where do I sign? 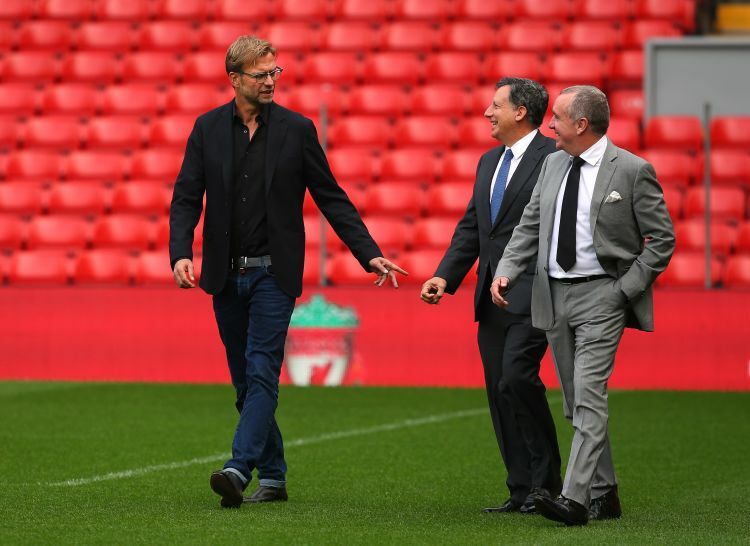 Before Liverpool’s principal owner John Henry, chairman Tom Werner and Gordon first met Klopp on October 1 2015 at the New York law offices of Shearman & Sterling, they - like everyone in the football sphere - knew he was a captivating character. As they spoke for around six hours in the high-rise building on Lexington Avenue in Manhattan, FSG wondered why anyone wouldn’t want to work under a manager who was not only a compelling orator, but possessed a clarity of vision and a demonstrable methodology to renovate and re-energise a club. He had buckets of substance to supplement his force of personality and the ownership believed one of Liverpool’s persistent difficulties - getting good players to forego other offers in favour of a switch to Anfield - would be eroded. 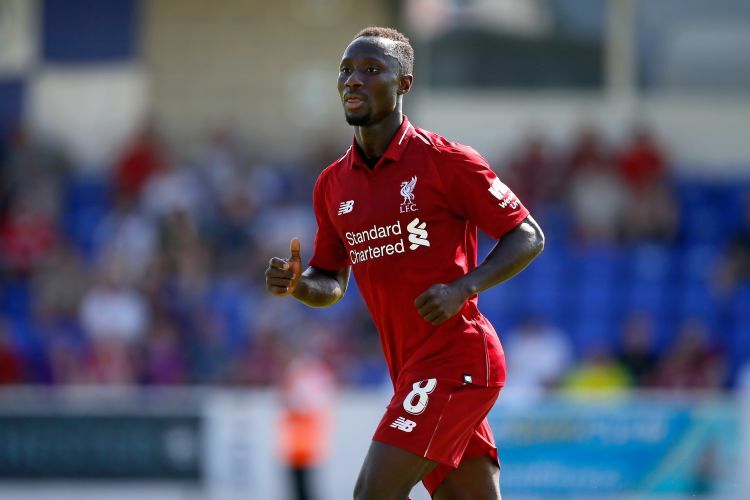 During Klopp’s first summer window, Mane opted for the Reds despite thrice being targeted by United, while Wijnaldum declined Tottenham’s advanced approach to line up under the former Borussia Dortmund trainer. Still, there were some setbacks with Ousmane Dembele already deciding to move to Signal Iduna Park before Liverpool attempted to change his mind, while Mario Gotze felt a return to BVB was a safer selection for his career than a reunion with Klopp following the 2016 Europa League final defeat against Sevilla. The club’s run in the competition had piqued the interest of several players, but they wanted a seat at the continent’s top table. As Liverpool pushed to secure a finish in the Champions League places in 2016-17, they had a springboard to start approaching a higher calibre of player. 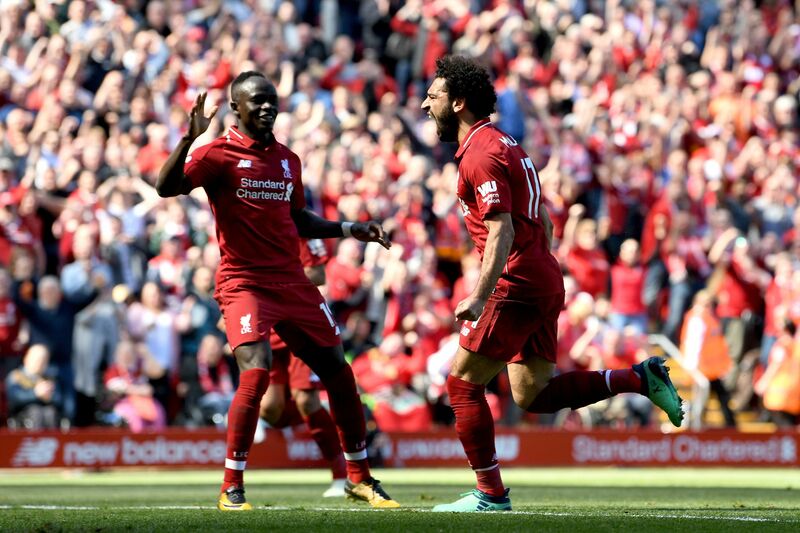 Van Dijk and Keita were the two premier targets, with the recruitment team advocating for the addition of Salah to negate the dependance on Mane. Oxlade-Chamberlain, meanwhile, was viewed as having all the tools to take off under the full-throttle template. The Reds would eventually, with great persistence and effort land their priorities, navigating a tapping-up allegation from Southampton and an obstructive RB Leipzig in the process. Chelsea and City both tried to sign Van Dijk last summer and in January, but he had tunnel vision for Liverpool. Barcelona unsuccessfully attempted to hijack the move for Keita, while Oxlade-Chamberlain turned the Blues down in favour of Anfield. Arsenal, meanwhile, had a £92m offer accepted by Monaco for Thomas Lemar on 31 August 2017, but the deadline-day trade didn’t happen as the France international wanted to work with Klopp instead. The Reds were unwilling to meet that exorbitant asking price and recalibrated their attacking search afterwards. Liverpool were able to outmuscle rivals in the market and encountered a new, more welcome problem: players like Julian Brandt and Ryan Sessegnon choosing not to switch to Merseyside as they wondered how they’d break into a talented XI. 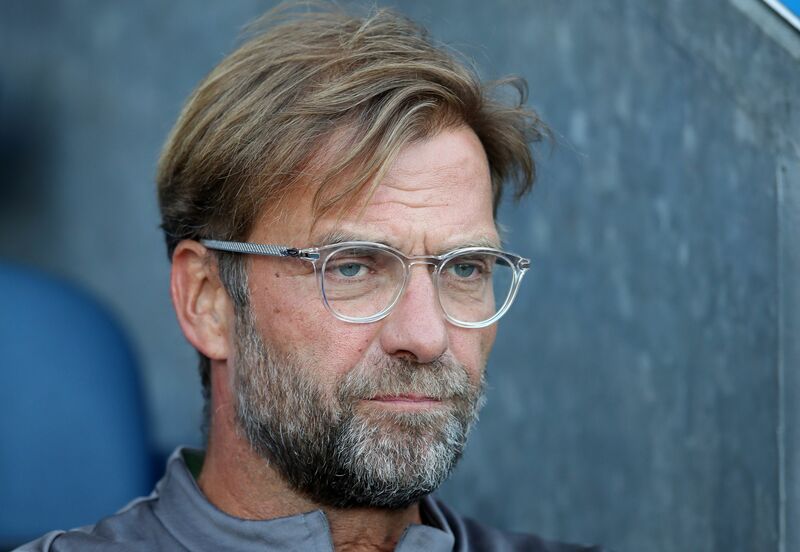 Once Liverpool steered past a taxing Champions League qualifier against Hoffenheim last August, Klopp believed his squad possessed enough blitz to be spellbinding on the European stage. In fact, he had already predicted as much to Philippe Coutinho in December 2016, telling the playmaker that when the club were back amongst the elite, it would be as opposition torturers not tourists. After the 5-0 scorching of Porto at the Estadio do Dragao in the Last-16, the recruitment team were fielding continuous calls from agents, who relayed that their clients wanted to be part of the magic. Coutinho had already left for Barcelona in a £142m deal by that stage, but Liverpool were convinced they’d kick on without him and reshape the squad to make it a more formidable prospect. Reaching the Champions League final and securing back-to-back qualification for the tournament gave the club the bedrock to do exactly that. Liverpool, operating from a position of power, could concentrate on further enhancing their spine. With Chelsea dithering, they took advantage of their lengthy charm offensive to recruit Alisson from Roma. Like Van Dijk, Keita and Fabinho, the goalkeeper was added to fortify Liverpool’s core for the short and long term. Shaqiri provides variety and depth to an attacking line up that has been boosted by Firmino and Salah signing new five-year contracts recently, with Mane due to follow. The only disappointment this summer has been the £53m deal for Nabil Fekir from Lyon falling through due to an underlying knee problem flagged during his medical. Liverpool have been doing excellent business, but a question mark is whether they do enough. In the heart of defence for example, Dejan Lovren, Matip and Joe Gomez, who can play both fullback positions, have all had persistent issues with injury. That leaves Ragnar Klavan as the other option to partner Van Dijk. Liverpool have numbers there, but as the club found out last season, that doesn’t necessarily equal availability. Ahead of the Champions League quarter-final against City in April, Klopp joked, “If there is a centre-back in the room I am open for talks” given only Lovren and Van Dijk were fit. The manager said last week “we have everything we need for the next season, because I don’t think we will do anything more. I’m pretty sure of that” but Liverpool have demonstrated a willingness to adapt and react if a situation arises. The focus will now turn to trimming the squad and their outgoing deals have been stellar under Edwards too, with six of the club’s 15 biggest-ever sales (Coutinho, Benteke, Mamadou Sakho, Jordan Ibe, Joe Allen and Danny Ward) coming during Klopp’s management. The effective swap with Hull City - Robertson joining Liverpool with Kevin Stewart going the other way for a similar fee - is a great example of the club matching their acumen on incomings with their handling of departures. Much has been made of Klopp’s comments two years ago post-United’s £89m outlay on Paul Pogba, which is being framed as hypocrisy. A further sweep through the rest of his words provides more accurate context. “The game is about playing together. That is how everybody in football understands it. You always want to have the best, but building the group is necessary to be successful. “Other clubs can go out and spend more money and collect top players. I want to do it differently. I would even do it differently if I could spend that money. Liverpool have not been opposed to spending if it is on the right footballer for the blueprint, rather than the kind to spin headlines or sell shirts. They have not brought in bonafide superstars and the transfers of their last two Player of the Season winners - Mane and Salah - were widely questioned at the time. The person to lift the award prior to them, Coutinho, exited the club in January for the third biggest fee in world football behind Neymar and Kylian Mbappe. Klopp has spent to “build a team, a real team.” Two years after those quotes, in an incredibly inflated climate and while being desperate for an elite goalkeeper, he still did not cave when Roma demanded £90m for Alisson. Liverpool did not proceed when the fee dropped to £75m either, eventually agreeing on a total package £10m below that valuation. While the German has accepted an alteration in his thinking with regards to head-spinning sums - “it is better to change your opinion than never have one” - the club’s methodology with signings since last summer is a matter of pragmatism rather than two-facedness. If Liverpool were not aggressive after returning to the Champions League conversation, they would have been chastised for it. 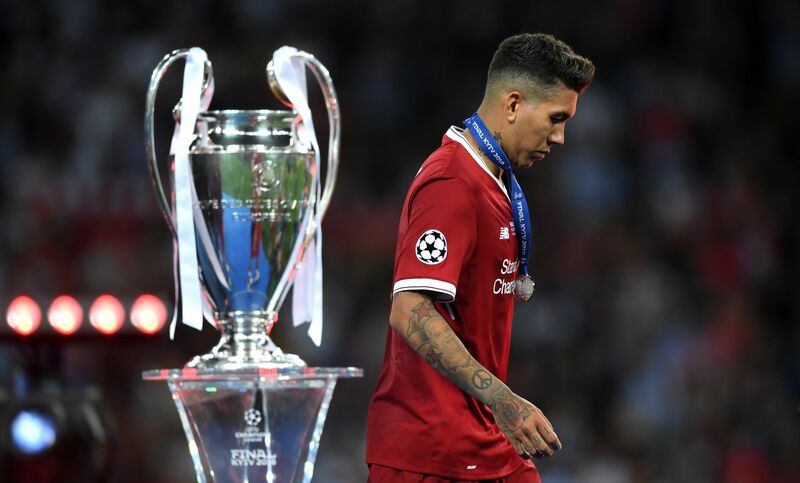 Had they failed to further reinforce and address frailties after losing the final to Real Madrid, the Reds would’ve been labelled naive and too idealistic to properly progress domestically or otherwise. In the 51-year-old’s first game as Reds manager - the 0-0 draw at Tottenham on 17 October 2015 - the bench read: Adam Bodgan, Kolo Toure, Connor Randall, Allen, Ibe, Jerome Sinclair and Joao Teixeira. Liverpool are a world away from where they were, but are speeding towards where they want to be on account of matching their on-pitch swagger with a savvy stratagem off it.